Although we haven't eaten KFC since that whole bogus "genetically altered chicken scandal," a piece of free grilled chicken sounds like a pretty good deal. Grilled chicken? 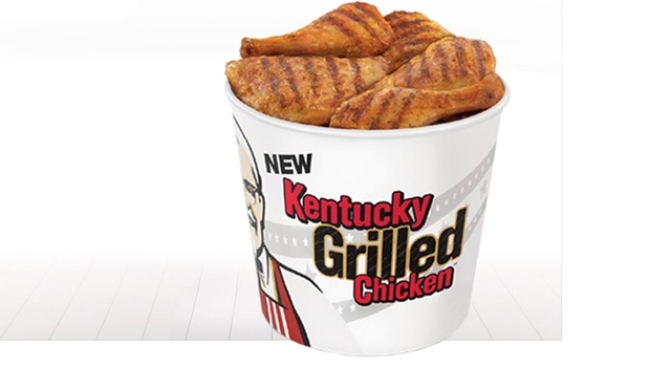 Yes, KFC is urging you to taste their "unfried" side. Their newest chicken is marinated and grilled. Can't hurt to try it. So for today only, you can show up at your local KFC and ask for your free chicken. But don't try and get all specific, the manager decides whether you get a breast, drumstick or thigh.